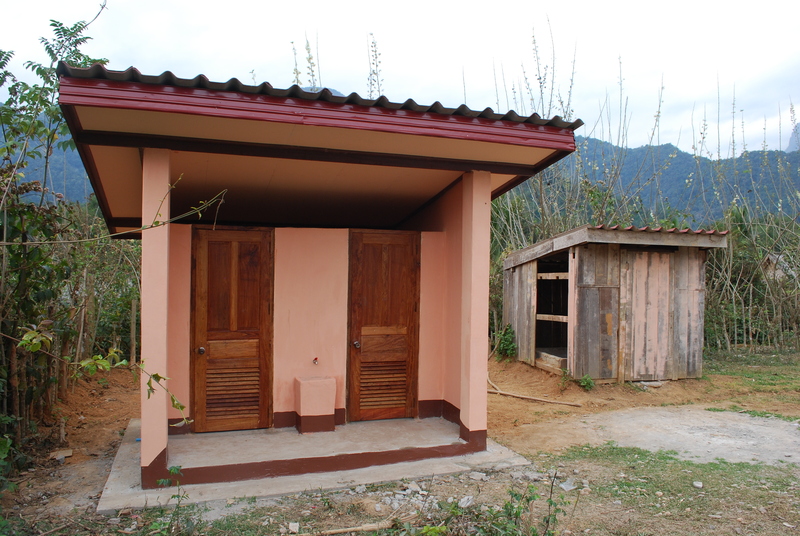 As a follow up to the completion of Had Chanh School last year, we promised to replace the temporary toilet that we had constructed for the school. And so we did. You can see the difference between the old and the new. The plumbing is all set but unfortunately there is no water for the village at this time of year (next years project I suspect). Handing over the keys to the Village Chief after a discussion to the villagers about hygiene and how to keep the place clean. A big thanks from the villagers! 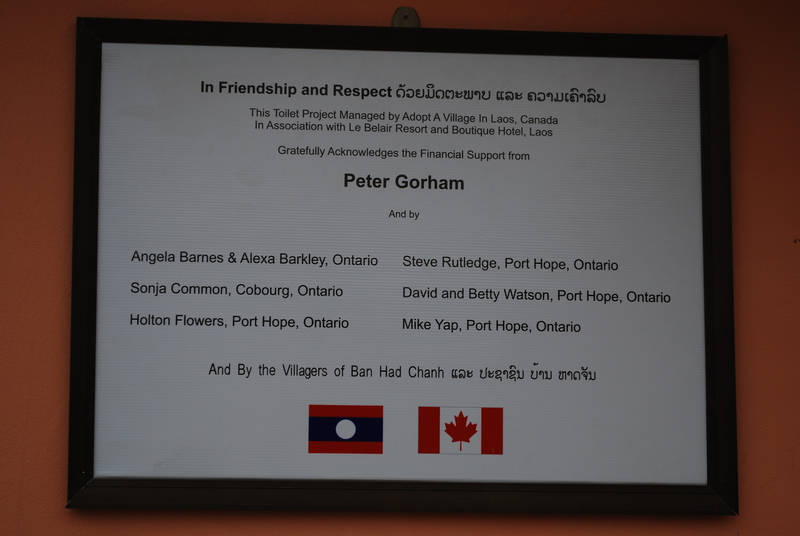 And a Big thank you to Peter Gorham and our other private sponsors. Cop Chai Lai Lai! 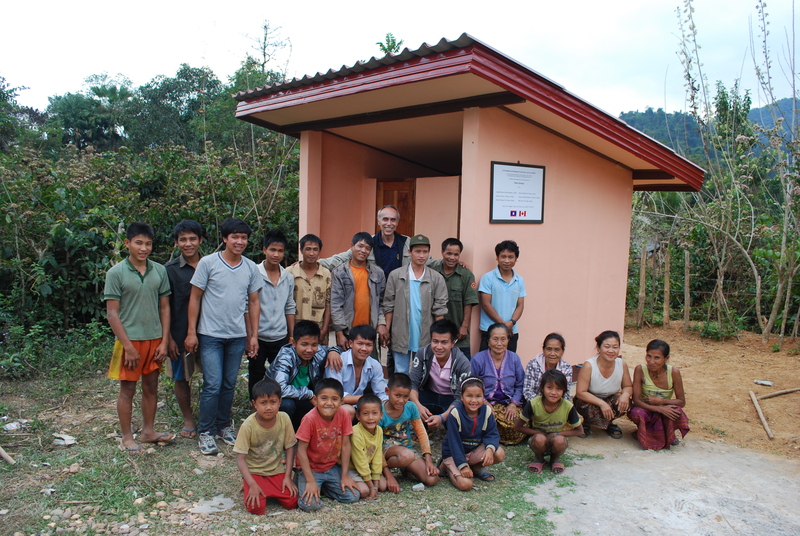 Pha Yong Village Toilets are well on their way – there are two more being built this year with 8 left to go. 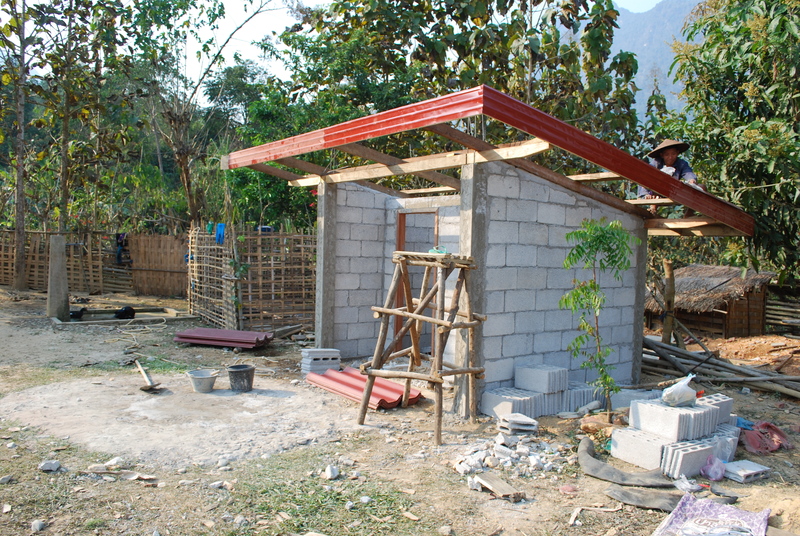 This toilet now has a roof on it, and parging is almost complete. It is expected to be completed within 2 weeks. 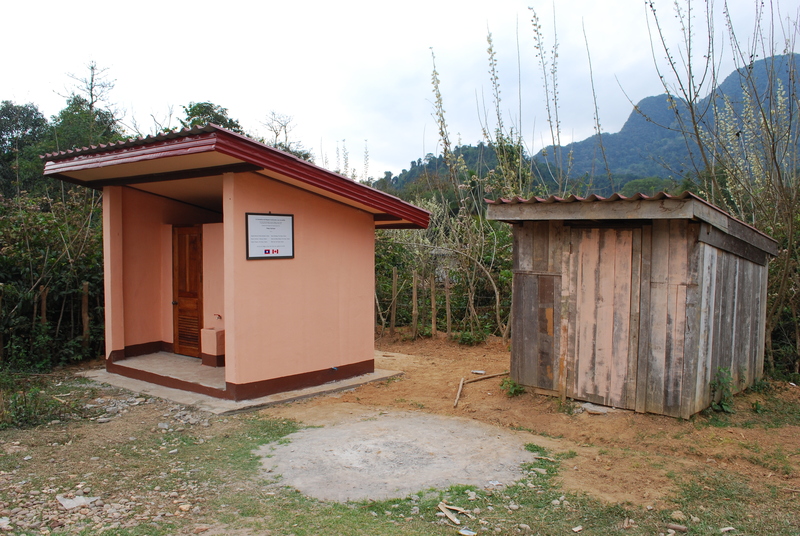 This entry was posted in Uncategorized by adoptavillageinlaos. Bookmark the permalink.